I met a Luton fan in the toilet near the end of the game. He said how great he thought we had played and how great our fans were. He said we are very noisy. He was coming on to you! What was a Luton fan doing in the home area? Would probably keep that meeting hush hush if I were you. It's a quandary. You probably do not want to come on too strong on a first date Fog. If you do get a quick fumble though, be sure to report back. Were you sharing a cigarette? Was it a prearranged meet? I would keep that info under your hatter. There were quite a few according to their forum. First it was smoking in the toilets, now it’s moved on to Cottaging. What has it got to do with Fulham? Did you notice some spanner’s hanging around for Pompey? Did it go off at the station or was it just that depressing site of bloke waving there hands shouting come on then and backing away slowly to the safety of a line of police officers? Did see a small number of our 'ultras' waiting at the top of Floyd Road - some in shorts, most with the obligatory tattoos. This was some time after the game and I would venture most if the Hatter's fans had long departed. A couple of 'tough' chaps decided to have verbals with the OB. They seemed to find it somewhat amusing as did I. Had a pleasant chat with a few Luton fans at the station. They were very complimentary about us and I was complimentary about their first half performance and them probably being champions. If it went off elsewhere I didn't see it. Typical SE Trains planning though, 4 carriage train to Cannon St which everyone piled on just before the direct train to Luton. They must have all been trying to lure innocent young lads into the toilets when they scored then. I saw no reaction at all in the home stands. Two sitting in the row behind me. in their thirties, hipster beards, but once we equalised they never twitched a muscle.Thought home tickets were restricted sale? Fighting over custody of the brain cell? Quite like looking at other team's forums when we've beaten them, makes Monday lunchtime go a bit quicker. 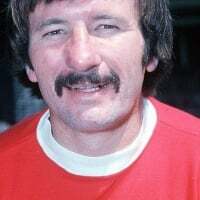 Nearly choked on my sandwich when I read a comment from a Luton fan about us being "small time" (because we have a drum), how a patch of form can go to your head! But surely he was impressed that he didn’t have to go through someone’s back garden to get into the stand? 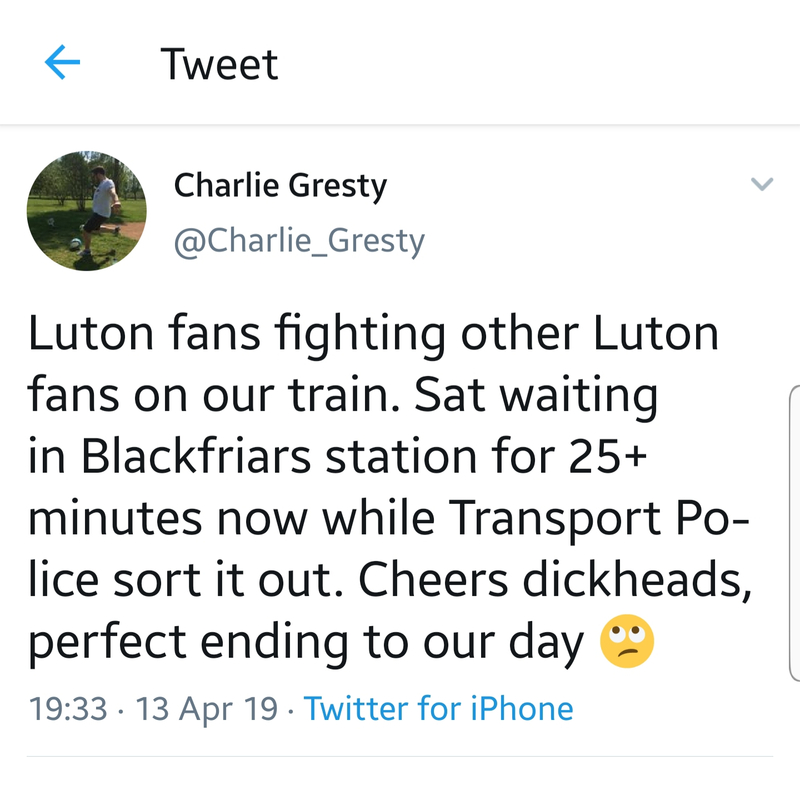 Doing their utmost to get thrown off the train, arrested and sent to prison so they don't have to return to Luton.